Located in the heart of Sydney, Parramatta is a suburb and major business district in the metropolitan area of Sydney which offers a rich mix of dining, cultural, entertainment, retail and leisure experiences. From its world-class cafes and restaurants to its vibrant nightlife of theatres, cinemas and clubs, Parramatta has something on offer for everyone. With an advanced transport infrastructure system, Parramatta plays a key regional role transporting millions of people every day through its integrated network of rail, road, bus and ferry services. 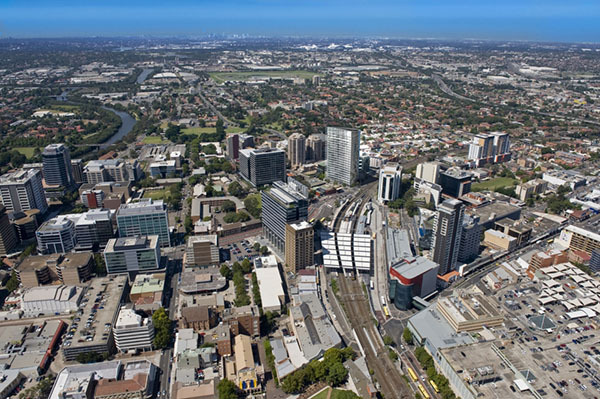 Its central location means that Parramatta is an important hub for medical, legal, financial, educational and professional services. Parramatta has seen the consolidation of its role as a government centre with the relocation of agencies such as the New South Wales Police Force headquarters and Sydney Water from the Sydney CBD. It is also home to Westfield Parramatta, which is the ninth largest shopping centre in Australia.